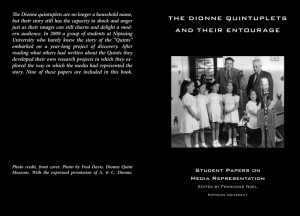 If it had not been for the the birth and survival of the Dionne quintuplets in nearby Corbeil in May of 1934, the 1935 OHW celebrations would not have been organized. 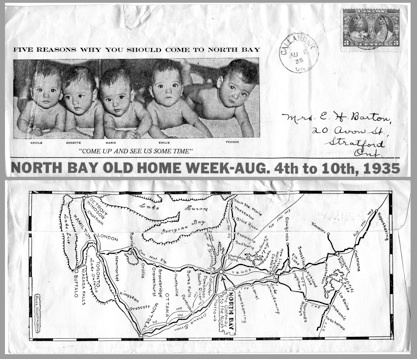 North Bay, like the rest of the country was in the throes of the Great Depression and unemployment caused great hardships not just for many families and individuals but for the city. It could not afford to pay for such a celebration. The promoters of OHW, however, were banking on the fact that the “Quints” would be one year old in 1935 and that tourists would be arriving to see them. 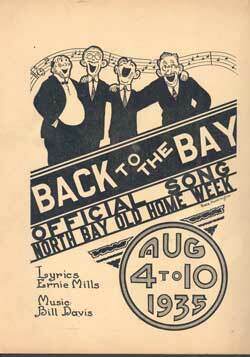 This “Official Song” written by Ernie Mills with music by Bill Davis is one of the few items of ephemera produced during Old Home Week. Approximately 20,000 people attended the OHW celebrations of 1935, many of them visitors. The 159th Battalion reunion brought many veterans together again. The Brotherhood of Locomotive Firemen and Enginemen also chose to have their 50th anniversary reunion during OHW thereby bringing many of the original railroaders to town. Many other Old Timers were present and the Nugget featured some of them in its pages. Locals also called the paper with the names of those who were visiting and these were published in the personals, as they were year-round. Of those listed, more came from Toronto and Sudbury than anywhere else. 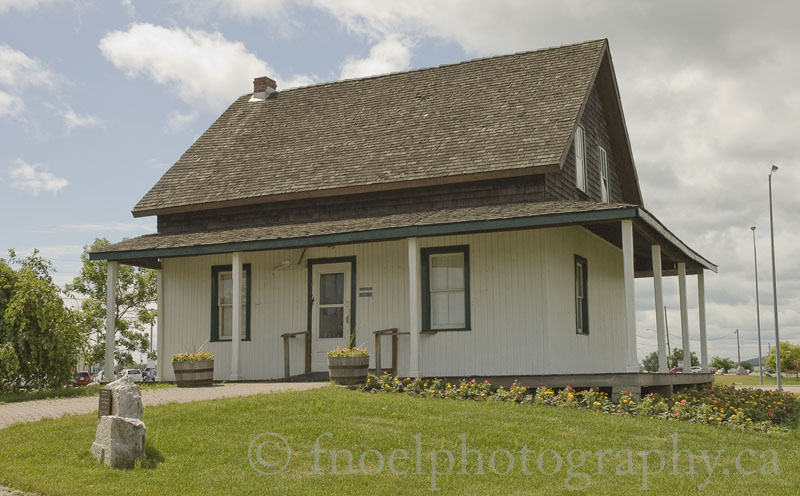 This entry was posted in Celebrations, Community History and tagged Dionne Quintuplets, North Bay, Old Home Week on January 25, 2013 by Françoise Noël.